Who can Lena trust to help her find out the truth? Life in East Germany in the early 1980s is not easy for most people, but for Lena, it's particularly hard. After the death of her parents in a factory explosion and time spent in a psychiatric hospital recovering from the trauma, she is sent to live with her stern aunt, a devoted member of the ruling Communist Party. Visits with her beloved Uncle Erich, a best-selling author, are her only respite. But one night, her uncle disappears without a trace. Gone also are all his belongings, his books, and even his birth records. Lena is desperate to know what happened to him, but it's as if he never existed. The worst thing, however, is that she cannot discuss her uncle or her attempts to find him with anyone, not even her best friends. There are government spies everywhere. But Lena is unafraid and refuses to give up her search, regardless of the consequences. 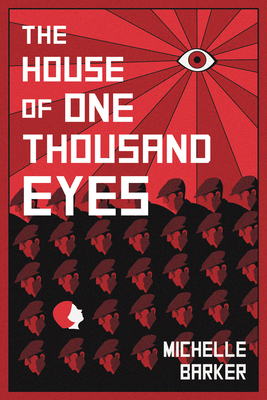 This searing novel about defiance, courage, and determination takes readers into the chilling world of a society ruled by autocratic despots, where nothing is what it seems.